The Rainbow Six Siege beta is going live tomorrow, but I had a chance to play it late last week at an event hosted by Ubisoft. I took this opportunity to evaluate Siege as a competitive game (a topic we're writing about a lot lately) based on the time I spent with it. 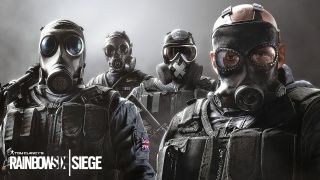 It's great to see a big publisher take a less-is-more approach to multiplayer FPS—Siege is a single-life game with a short timer and free of many of the frills of other multiplayer shooters. But the devil is in the details of how Ubisoft's vision is implemented, as fans of games like CS:GO know all too well. Watch the video above to hear my take on Siege so far. PC Gamer Pro is a new channel dedicated to esports and competitive gaming. Check back every day for exciting, fun and informative articles about League of Legends, Dota 2, Hearthstone, CS:GO and more. GL HF!